Our testing showed that the earlier Tobii eyeX didn't work for everybody. Will the 4C be different? After considerable testing, we concluded that Tobii’s first eye-tracking device was a mixed bag for productivity. Tobii's next-generation tracker, the Eye Tracker 4C, doubles down on PC gaming and adds head tracking to the mix. 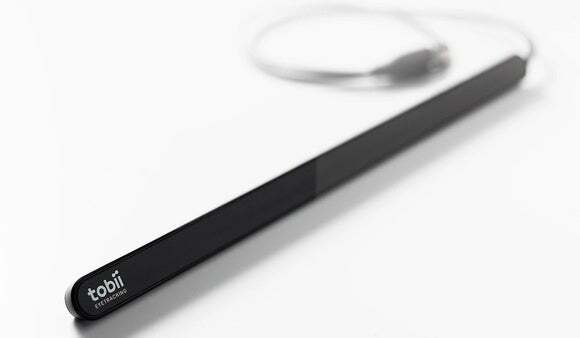 Available November 25, the $149 Tobii Eye Tracker 4C appears to be similar to the eyeX we reviewed: a sensor bar that sticks to your monitor, tracking your eyes with several LEDs that reflect infrared light off your retinas. The 4C, however, decreases the size and visibility of these lights, making them less obtrusive. Tobii has also moved its eye-tracking functions onto the tracker itself, via a dedicated EyeChip CPU, to minimize the load on your PC. That’s important, if only because Tobii has focused in on PC gaming as the chief reason you’ll want this device. 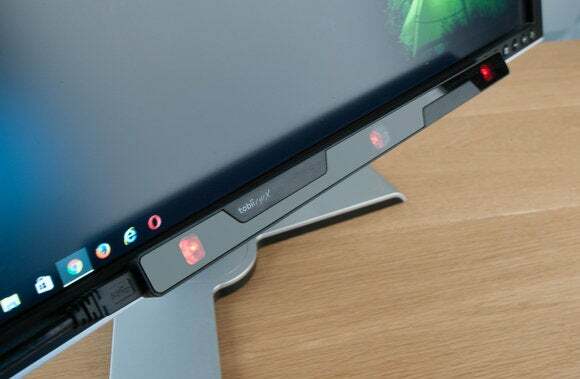 Besides ensuring you have all the CPU horsepower you need for blasting bad guys, Tobii says the Eye Tracker 4C is intended “to complement, rather than replace,” traditional PC gaming inputs. That means you won’t be “steering” with your eyes, just looking for and locking on potential targets. 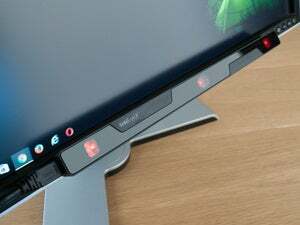 Tobii’s earlier eyeX required you to permanently affix a mount to your monitor. The company’s new 4C peripheral presumably will as well. What we found was that Tobii’s eye-tracking technology was just accurate enough to be interesting—but not totally precise. And that the accuracy varied depending on the color, shape, and size of the users' eyes. Tobii claims it has added “performance enhancements” to help offset these discrepancies, and a new USB 2.0 connection provides more data to and from the sensor. In our tests of the eyeX, we concentrated on Tobii’s technology in applications like Word and Windows, an angle Tobii has seemingly abandoned. (The 4C, like the eyeX, can be used to biometrically identify you as part of Windows 10’s Windows Hello.) Tobii claims that over 40 game titles already support its eye-tracking technology, with more to come. Will eye tracking catch on with the release of the Eye Tracker 4C? Tobii certainly hopes so. Why this matters: Eye tracking sounds fantastic on paper: you look, you shoot. What’s faster than your eyes, right? In practice, though, the earlier eyeX was off by just a bit on every glance, forcing you to correct a bit with the mouse. Keep in mind, too, that we reviewed the eyeX in February, a full month before the Oculus Rift finally launched. You probably have to consider virtual reality a competitor of sorts to eye tracking, at least for the money a consumer is willing to spend on PC gaming peripherals. It will be interesting to see how this all plays out.